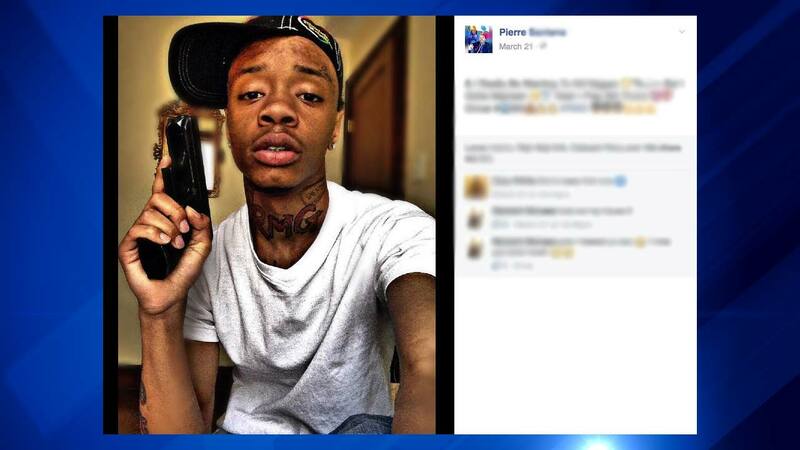 CHICAGO, IL -- The social media accounts of a 16-year-old who was shot and killed by police show a young man appearing to celebrate gang culture. In one image, Pierre Loury is seen holding a handgun. The caption reads: "I really be wanting to kill n----- but I gotta maintain." Eyewitness News has learned Chicago police detectives are scouring Loury's social media accounts as they investigate the shooting, which took place on Monday night. The same photo shows Loury's neck is tattooed with the initials "RMG," a street gang that operates in Chicago. Police have said the 16-year-old was a documented street gang member with a juvenile arrest record. Loury was fatally shot by a Chicago police officer following a chase during which he allegedly pointed a gun at an officer, according to Deputy Superintendent John Escalante. He was taken to the hospital, where he died. Loury was a passenger in a vehicle when police attempted to pull it over near West Grenshaw Street and South Homan Avenue. The driver of the vehicle is still at-large, Escalante said. Demonstrators and family held a memorial for Loury Tuesday night at the scene of the shooting. They marched through the area and briefly blocked an entrance ramp to the Eisenhower Expressway.